Purchase your tickets for this family class at 2pm on Friday, November 23th. We provide all the supplies, instruction and tips, you get to be creative! Decorate your 12″ wreath and candle ring with any of the available embellishments – scallops shells, pine cones, berries, glitter sprays, fancy baubles, and more. Our staff will on hand to answer your questions or give design advise. 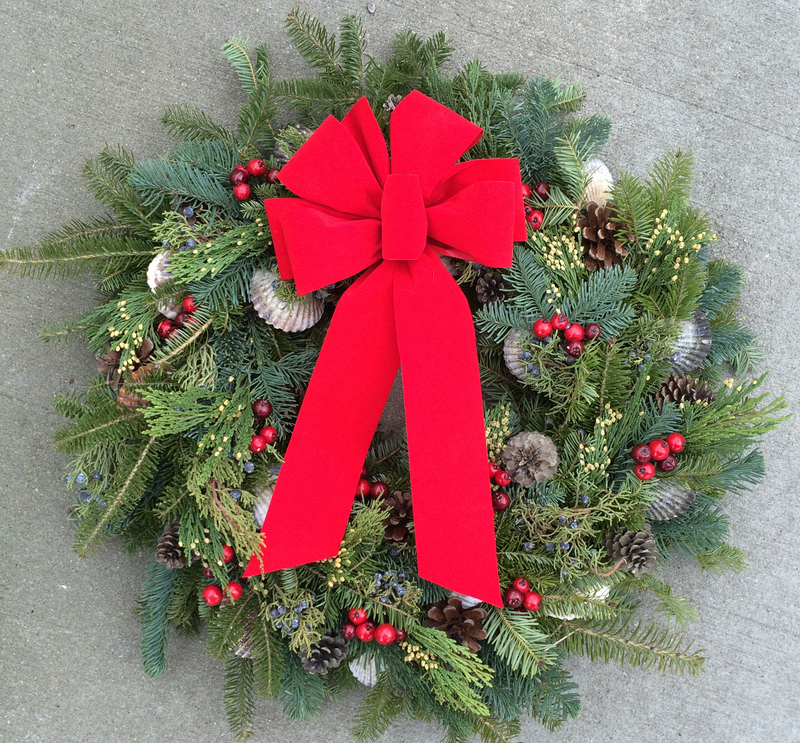 If you are traveling for holiday and need to ship your wreath home, we would be happy to arrange that at the end of class.